LONDON, ON and WASHINGTON, D.C. – National average prices for diesel are gaining momentum, hitting levels not seen in several weeks in both Canada and the U.S. In Canada, trucking’s main fuel increased $0.026 over the past week, hitting $1.055 per liter, according to the petroleum information services provider The Kent Group Ltd. This marks the second straight weekly hike and is the highest price in two months. Compared to this week a year ago the average price is still $0.212 less. Prices increased in Canada’s four main regions from last week, with the biggest gain happening in the Atlantic Province, adding $0.036 and hitting an average of $1.086 per liter. The average price increased nearly as much in the Western Provinces, registering $1.08, while Quebec had the highest average cost at $1.097, with Ontario coming in nearly the same as a week ago at $0.996 per liter. In the U.S. the story was similar, with the average diesel cost increasing for the second consecutive week, jumping US$0.064 over the past week to US$2.556 per gallon, the highest level in seven weeks. This is also the largest weekly increase in more than two years, according to the U.S. Energy Department's Energy Information Administration, and follows a US$0.016 gain the previous week. Despite the hike, diesel in the U.S. remains $1.142 less per gallon on average versus the same time in 2014. Meantime, the average U.S. cost of regular grade gasoline increased by US$0.019 to US$2.337 per gallon, but is still US$0.87 less than a year earlier. In Canada, the average cost of regular grade gasoline continued its recent trend of increasing one week only to fall the next. This week it added $0.01 from last week for a national average of $1.067 per liter, which is $0164 less than compared to this time in 2014. A semi truck driver braved flooding amid record rainfalls in South Carolina and was caught on camera driving through deep waters. The video, posted to YouTube by user Charlton Mcleod, shows the semi truck submerged nearly to its windows on Highway 15 in Sumter as it is filmed from a car on the opposite side of the highway. A child in the car labels the driver "big and bad" for daring to drive through the deep water. "If he makes it, I give him all the credit in the world," a woman's voice says. The semi appears to make it out of the deep section of highway and drives away on comparatively dry land. Central South Carolina is experiencing widespread flooding from record rainfalls. Gov. Nikki Haley dubbed the precipitation a "1,000-year level of rain." SAN ANTONIO - The 18-wheeler driver charged with smuggling a group of 39 undocumented immigrants in the big rig's trailer waived his preliminary and bond hearings in federal court on Monday. Drew Christopher Potter, 33, was charged after the trailer he was transporting from Laredo to San Antonio was found to be carrying the immigrants. Potter stopped his rig Sept. 18 at the Road Ranger convenience store at Highway 57 and I-35 South in Frio County. Potter reportedly told an agent with Homeland Security Investigations that he didn't know what was in the trailer when he stopped to buy a drink and a case of water. While at the store, the agent said Potter "saw water leaking from the reefer and saw the trailer moving. Potter stated that's when he opened the door and people started jumping out of the trailer." One of the immigrants told the agent that Potter was there when the immigrants got into the trailer in Laredo. The 39 immigrants were treated at area hospitals for dehydration. If he is not indicted by the middle of this month, Potter could be released. He remains in federal custody. The Federal Motor Carrier Safety Administration (FMCSA) said Thursday it has concluded collecting information for the Commercial Motor Vehicle (CMV) Driver Restart Study. The agency said the Congress-mandated study looked into the operational, safety, health and fatigue impacts of two provisions of the hours-of-service (HOS) restart regulations. The study team collected data to compare five-month work schedules of drivers in order to assess safety critical events such as crashes, near-crashes and crash-relevant conflicts, operator fatigue/alertness, and short-term health outcomes of drivers who operated under the HOS restart provisions. Those regulations were in effect between July 1, 2013 and December 15, 2014. The study also focused on commercial truck drivers who operated under the provisions that were in effect prior to July 1, 2013. More than 22,000 days of driver sleep data. While the FMCSA doesn’t have preliminary study findings, data analysis has begun, and the agency said it is working toward completing the final report by the end of the year. The HOS regulations required truck drivers who wanted to restart their weekly driving window (of 60 hours on duty in seven consecutive days, or 70 hours in eight consecutive days) to take two consecutive periods off duty from 1 a.m. to 5 a.m. as part of the 34-hour (or longer) restart. Enforcement of these sections will remain suspended as required by Congress until the Secretary of Transportation submits the CMV Driver Restart Study final report to Congress. For more details or an updated FAQ list, visit: www.fmcsa.dot.gov/safety/research-and-analysis/commercial-motor-vehicle-driver-restart-study. The company that employed the truck driver involved in a crash that killed four people early Monday in Dallas’ Red Bird area has had a history of inspection violations, records show. Rienzi, Miss.-based Southeastern AG Transport Inc. transports logs, poles, beams, lumber and other materials, according to the Federal Motor Carrier Safety Administration. A list of inspections includes one report of a nonfatal crash in August 2014 and 10 unsafe driving violations such as driving 6 to 15 mph over the speed limit. In September 2014, a driver was found to be using or under the influence of a drug, according to records. The company also has 52 vehicle maintenance violations, including inoperative turn signals and lamps, failure to secure vehicle equipment and tire treads that were too worn, records show. It remained unclear on Tuesday what led to the accident that occurred about 6:30 a.m. Monday when an 18-wheeler driven by 58-year-old Ricky McGinnis crashed into an SUV on the flyover ramp from westbound Interstate 20 to southbound Interstate 35E. The truck and SUV caught fire, said Raul Reyna, a Dallas County Sheriff’s Department spokesman. The four people in the SUV — two adults, including a pregnant woman, and two children — were killed. The Dallas County medical examiner’s office said it could be more than a week before the victims will be identified. McGinnis was uninjured. He has not been charged with a crime, Reyna said. The trucking company released a statement saying it was “saddened by the accident” that involved one of its independent contractor drivers. The cleanup effort was complicated by burning wood falling from the ramp onto the shoulder and grassy area below. That prompted authorities to close the interchange in all directions. Traffic was snarled for hours after the crash. The highways reopened after four hours, and the ramp reopened after about nine hours. Anyone who witnessed the accident is asked to contact Detective Ernest Embry of the sheriff’s vehicle crimes unit at 214-589-2323. Richmond, Va. – More than 120 trucks are expected to take part in the 2015 World’s Largest Truck Convoy for Special Olympics, according to WTVR. The convoy is scheduled to leave Meadow Event Park just north of Richmond on Saturday at 10 a.m. The trucks then travel a 50-mile circuit down Interstate 95 south, over to 295 north, across to 64 east and back up to 95 north. The convoy returns to Meadow Event Park around 11:30 a.m. In 2014, the World’s Largest Truck Convoy for Special Olympics raised awareness and more than $20,000 for Special Olympics Virginia. It also generated a ton of interest online when one confused driver’s Facebook post went viral. “Are we in the Twilight Zone?” Adam Hicks asked while driving along Interstate 64 in Richmond last year. Hicks made the comment when he drove past a seemingly endless convoy of semi-trailer trucks — with Virginia State Police blocking any other vehicles from entering the highway. Hicks’ video has been viewed more than 6 million times on Facebook. DENVER, CO -- A provider of an alternative traction device (ATD) for passenger and commercial vehicles announced that its use has now been granted approval in British Columbia. The news from AutoSock follows an amendment to the British Columbia Motor Vehicle Act that changes the definition of “traction device” to include textile tire covers, such as the AutoSock including for Class 3-8 trucks. According to AutoSock, it is currently the only company providing a wide range of textile traction devices for trucks and is the only named approved product in Washington and Colorado. The ATD can also be used in states that have no specific device exclusions when chain requirements are in effect. The AutoSock uses high-performance fibers and a specially designed surface pattern to maximize friction on snow and ice covered roads by making the total contact area exposed to dry friction as large as possible. It can be installed in less than five minutes per wheel, minimizing a driver’s exposure to weather and traffic, and at less than 5 lbs. per pair provides a weight savings compared to a 50-lb. set of traditional chains. The ATD is fully compatible with ABS and traction control systems, and does not damage road surfaces, unlike metal chains, because its material is softer than concrete and asphalt, according to the company. It can be stored inside a cab or tool compartment, and unlike tire chains, will not damage a vehicle’s fenders and exposed brake lines while in use. 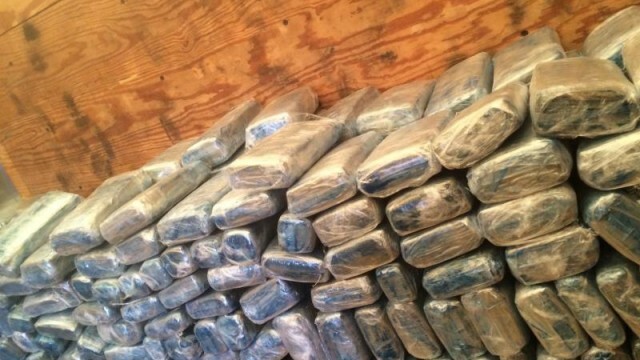 A 30-year-old man attempted to drive across the border at Otay Mesa with nearly 1,400 pounds of marijuana in the back of his truck, federal officials reported Wednesday. Drug-sniffing dogs alerted U.S. Customs and Border Protection officers to the truck loaded with boxes and household goods as the driver was waiting in an inspection line at the Otay Mesa port of entry on Monday afternoon. Upon further inspection, officers found 54 large packages containing 1,374 pounds of marijuana hidden inside the moving boxes, said Angelica De Cima, a spokeswoman for the federal agency. The drugs had an estimated street value of more than $824,000, she said. The driver, a U.S. citizen whose name was withheld, was taken into custody and turned over to special agents with Homeland Security Investigations, De Cima said. 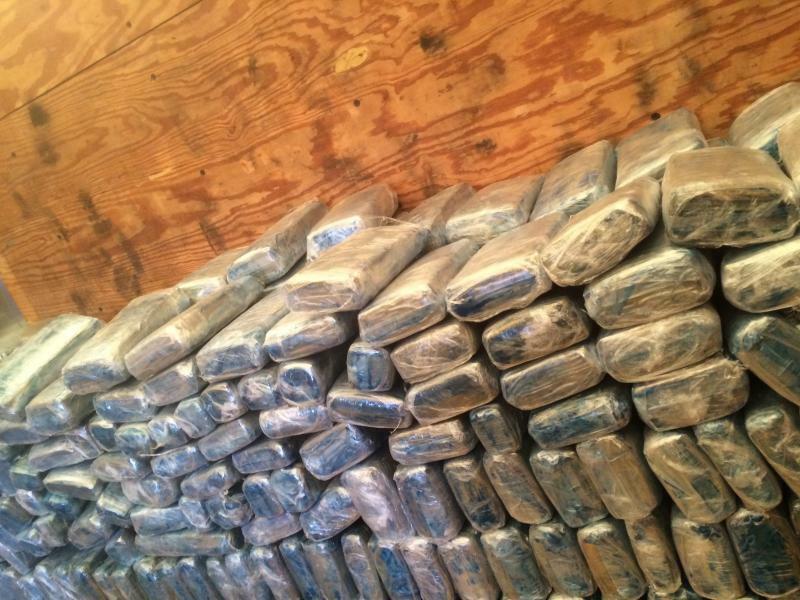 Customs and Border Protection officers seized the truck and its contents, including the marijuana. Oil prices have edged up slightly in the past few weeks on news of tightening U.S. supplies and more recently as Saudi Arabia made some deep oil price cuts and diesel has in turn gone up slightly as well. The U.S. Energy Department’s Energy Information Administration (EIA) predicted that this year’s oil prices (and thus diesel) would fluctuate up and down this year and both oil and diesel have been on the seesaw, with national on-highway diesel gaining just over a penny and a half today (1.6 cents) to ring up at $2.492. Diesel momentarily increased 2 cents on September 8, the day after Labor Day, because of a brief rally by oil the week before, but September 14 saw prices falling 1.7 cents a gallon; falling 2.4 cents the week after that (September 21) and falling another 1.7 cents September 28. Werner Enterprises, the truckload transportation and logistics provider, has acquired the American Institute of Trucking (AIT) and Roadmaster Drivers School, saying these investments will further Werner’s commitment to securing the next generation of professional drivers for the entire trucking industry. As a forward-thinking leader in the transportation industry, Werner saw an opportunity with school partners that would benefit the trucking industry as a whole. Working with both AIT and Roadmaster for many years, Werner has witnessed the solid management and quality output these companies produce in the commercial truck driver-training field, in addition to common business goals. Werner completed its acquisition of AIT in August 2013, and the Roadmaster acquisition was completed in May 2014 for undisclosed amounts. AIT, based in Phoenix, has three southwest U.S. school locations. Roadmaster, based in Tampa, Fla., has 13 school locations throughout the U.S. The acquisition announcements were delayed to allow for a full-system integration and to ensure that student employer of choice remained a priority, as Werner is committed to ensuring students maintain the ability to choose their preferred carrier to work for after graduation. The experienced and respected AIT and Roadmaster management teams both have remained unchanged following these acquisitions. Before and after the acquisitions, the percentage of graduates from these schools placed with Werner has remained relatively consistent. AIT and Roadmaster continue to serve as two of the industry’s largest and top-ranked driving schools. The industry group estimates that trucking companies will have to bring on an additional 47,500 drivers this year to smoothly handle customers’ orders, a figure that would grow to 73,500 next year if the economy picks up speed. The labor crunch is likely to worsen in coming years because drivers tend to be older—an average age of 49, compared with 42 in the wider workforce—and the industry will see more retirements. Mr. Hatchett said Covenant also is considering installing satellite televisions and enabling wireless Internet in truck cabins. The thief or thieves who stole a refrigerated truck loaded with tofu and organic juice from a Southeast Portland Safeway ditched the truck less than three miles from the store -- but took every last scrap of tofu and juice, officials say. Portland police say they have not solved the mystery of the missing flavorless soybean product. A resident of Southeast Portland called police at 1:30 p.m. Tuesday to report an abandoned, and very empty, truck. It was found near Southeast 85th Avenue and Lafayette Street. A witness told police he or she saw a man and a woman leave the truck. 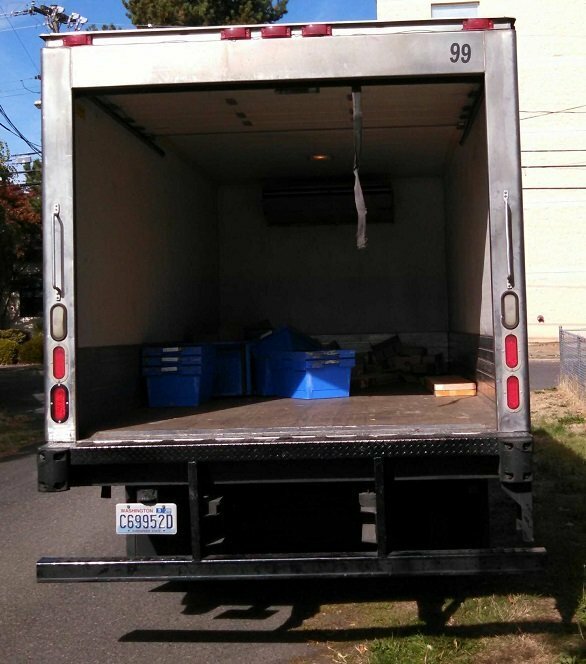 A truck owned by R&K Foods, a Seattle natural foods wholesaler, was reported missing from the Safeway store at Southeast Powell Avenue and Cesar E. Chavez Boulevard at 9:30 a.m. Tuesday. The driver told police he was inside the store for about 20 minutes and when he returned to where he parked the truck, it was gone. Portland police spokesman Sgt. Pete Simpson did not immediately respond to a question about the value of a truckload of tofu.